"A prosecutor is in a peculiar and very definite sense the servant of the law, the twofold aim of which is that guilt shall not escape or innocence suffer." Its hard to like defense attorneys. Most of the time their job is to try to get a guilty person off. Because the system tends to catch bad guys and not railroad good guys, that means most of the time a defense attorney is acting against the best interests of society and trying to set a bad guy free. That's their job. And since most defense attorneys see their job as to win, rather than to make sure there's a just, fair trial, they are guilty of some pretty low, awful things to make sure their client walks, no matter how terrible they are. However, all that said, there's a problem with prosecutors, and its been raising its ugly head more and more these days. I don't know if its more common lately or just more covered because the news media is broader and more easy to access. But there are definitely more reports of prosecutorial misconduct. Prosecutors hold tremendous power, more than anyone other than jurors, and often much more than jurors because most cases don’t go to trial. Prosecutors and their investigators have unparalleled access to the evidence. But there are disturbing indications that a non-trivial number of prosecutors — and sometimes entire prosecutorial offices — engage in misconduct that seriously undermines the fairness of criminal trials. The misconduct ranges from misleading the jury, to outright lying in court and tacitly acquiescing or actively participating in the presentation of false evidence by police. Prosecutorial misconduct is a particularly difficult problem to deal with because so much of what prosecutors do is secret. 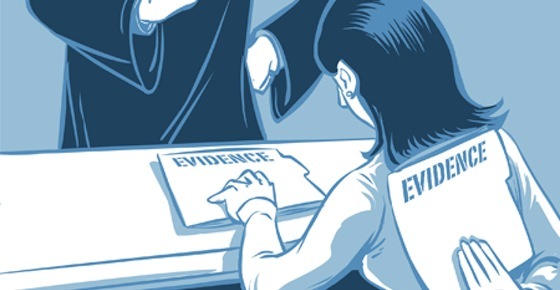 If a prosecutor fails to disclose exculpatory evidence to the defense, who is to know? Or if a prosecutor delays disclosure of evidence helpful to the defense until the defendant has accepted an unfavorable plea bargain, no one will be the wiser. Or if prosecutors rely on the testimony of cops they know to be liars, or if they acquiesce in a police scheme to create inculpatory evidence, it will take an extraordinary degree of luck and persistence to discover it — and in most cases it will never be discovered. Under Imbler, prosecutors cannot be held liable, no matter how badly they misbehave, for actions such as withholding exculpatory evidence, introducing fabricated evidence, knowingly presenting perjured testimony and bringing charges for which there is no credible evidence. All are immune from liability. Most recently, in its unanimous opinion in Van de Kamp v. Goldstein, the Court denied compensation to the petitioner, Thomas Goldstein, who had spent 24 years in prison based on the testimony of notorious jailhouse snitch Edward Fink. Prosecutors used Fink as a utility infielder in numerous cases, and he somehow always managed to testify that the defendant had confessed. What kind of signal does this send to young prosecutors who are out to make a name for themselves? I think it signals that they can be as reckless and self-serving as they want, and if they get caught, nothing bad will happen to them. 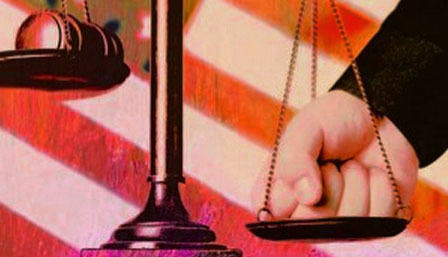 Who exactly is going to prosecute prosecutors? Despite numerous cases where prosecutors have committed willful misconduct, costing innocent defendants decades of their lives, I am aware of only two who have been criminally prosecuted for it; they spent a total of six days behind bars. Basically the law makes it virtually cost-free to violate ethics and laws to get your conviction, and the system rewards prosecutors who do so. That adds up to a serious problem. The theory is that if you allowed defendants to sue a prosecutor for doing something wrong, then every case would be a festival of lawsuits for the slightest mistake or misstep by a prosecutor. The entire system would fall apart, and justice would never be found for wealthy and persistent criminals. There's something to this argument, but not enough to let prosecutors do whatever they wish without the slimmest chance of penalty. Its true that in theory if found guilty of these acts, the prosecutors can be prosecuted, but it almost never happens, because the judges and prosecutors are basically part of the same club. Often, literally. Immunity from lawsuit seems proper to me, because every jerk lawyer would be suing for every single case. But there needs to be mechanisms in place to hold prosecutors responsible and pressure them to follow the law, do the right thing, and hold to judicial ethics. I have a strong, immediate tendency to leap to the defense of the law and order system. I suspect and distrust organizations whose sole reason for existence is to find ways to get convicted criminals to go free. In most cases, someone in jail for hard time is guilty of quite a bit they never got caught for, even if this one case is bogus. And I want to give prosecutors the benefit of the doubt because of how rigged the system is against them. But justice requires that we not abuse people just for a conviction. Prosecutors are just as guilty as defense attorneys of thinking in terms of wins and losses rather than justice and injustice. If you approach a case in terms of hostility toward the defendant or a game to win, then it becomes easier to think little "minor" cheats and abuses of the system are acceptable. Attorneys are human, so its difficult to not keep score and have personal ego involved, but that tendency needs to be fought. And lately, it seems like the bad in prosecutors is winning. So what can be done? Kozinksi has some good ideas, such as making rules regarding evidence more stringent (all interviews and interrogations should be videotaped so its not the cop's word against the defendant's what was said, standardize and make more sure eyewitness testimony) and calling on legislatures to clean up and tighten wording of laws so they aren't so vague and easy to apply for stacking on charges. Other suggestions he has such as eliminating judicial elections sound appealing, but the alternative - purely political appointments - has just as many flaws. Its true that elections have serious problems, among them being that charismatic and rich, capable campaigners will trump serious, less interesting jurists. But there are other concerns. In Oregon, as in other states, judges have a tendency to retire before the election year, allowing the governor to appoint a "temporary" judge that then stands for election the next time. Now established, the sitting judge almost never is opposed because to do so annoys that judge (meaning the lawyer who did so now has a very powerful adversary in the courtroom). The problem is that appointed judges are not necessarily any better. In an increasingly politicized, ideologically-driven society, governors are appointing judges that are picked by how closely they adhere to the governor's political ideals and how reliably they'll do what the governor wants. So you get as bad a situation without elections as with them - and as the Oregon situation shows, effectively the elected judges are appointed anyway. Ultimately, the only way to have a better system is to have better people. Like solving politics, education, entertainment, news reporting, or any other segment of society, the answer is not government or law, although that can help, but to look at the source of the concern. What we end up with in positions of authority and influence comes from the people and the culture at large. We get the politicians and pundits, entertainers and informers from the culture. What the culture is like is reflected in the people who work in it. It is unreasonable to beleive that laws and rules will restrain corrupt, unethical, and unserious people. Its not that there should be not laws, its that the laws are of little value if people are inclined to ignore or bypass laws. The culture its self has to change for the laws to be of any value. And if a culture is virtuous, ethical, and responsible, fewer laws are required. A self-governing people don't require as much government. We will never on this earth come to the point where no laws are needed because the people are so righteous and trustworthy. But we can move closer to that point, and doing so means a shared, objective, absolute set of guidelines and ethical principles that the culture agrees to. What this is will be up to the culture, but it has to be generally agreed upon and adhered to. And that system has to be one that overall punishes wickedness and rewards righteousness, one that recognizes the difference between good and evil, can actually explain what that is, and holds to it without wavering despite shifting cultural trends. Islam offers this, and I think that's why so many people are signing on around the world. For all its horrors and attendant loss of liberty, Islam offers stability, consistency, and reliability. You won't wake up in Saudi Arabia to find suddenly marriage has been redefined, or that you're now a monster for mocking what everyone laughed at yesterday. Cultures cannot last without a skeleton to hold them together, and the ethical, philosophical worldview of a culture is that skeletal structure. Without it, without that shared and reliable ideal, a culture dissolves. The only question is how long it takes and how violent the dissolution is. Oh, and which absolute structure rises to bring it back together again.